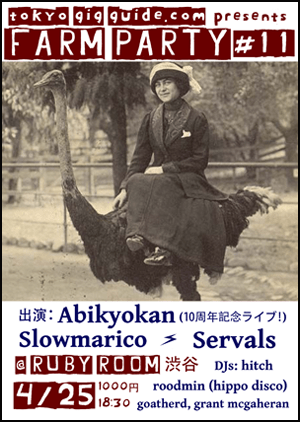 Abikyokan are celebrating their 10 year anniversary and possibly the last show with Jake before he moves back to the US. 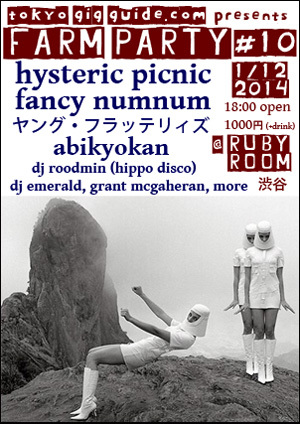 Also playing is Servals with Craig from Abikyokan on bass, and DJs Tatsumi (Goatherd) and Grant from Abikyokan. Don’t miss it!